1) The best and cheapest dentistry is when the right thing is done extremely well the first time and it lasts for a long time. 2) (good one) Dentist: a prestidigitator who, putting metal into your mouth, pulls coin out of your pocket. 3) Even pearls are dark before the whiteness of his teeth. 4) I find that most men would rather have their bellies opened for five hundred dollars than have a tooth pulled for five. 5) I had very good dentures once. Some magnificent gold work. It’s the only form of jewelry a man can wear that women fully appreciate. 6) I’m always amazed to hear of air crash victims so badly mutilated that they have to be identified by their dental records. What I can’t understand is, if they don’t know who you are, how do they know who your dentist is? 7) If suffering brought wisdom, the dentist’s office would be full of luminous ideas. 9) Teeth placed before the tongue will give good advice. 10) When a thief kisses you, count your teeth. 11) Adam ate the apple and our teeth still ache. 12) When fortune turns against you even jelly can break your teeth. 13) You cant chew with somebody else’s teeth. 14) I am as old as my tongue and a little older than my teeth. 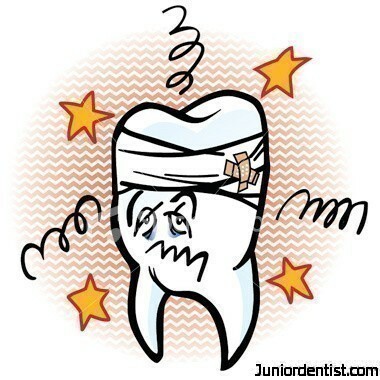 15) A loose tooth will not rest until its pulled out. 16) Listen to the wisdom of the toothless ones. 17) The tongue goes to where the tooth aches. 18) The unfortunate would be bitten by toothless dogs. 19)Music helps not the toothache. 20) Don’t use your teeth when you can untie the knot with your fingers. 21) We have never seen the earth show her teeth. 22) Almond nuts come to those who have no teeth. 23) The teeth are smiling, but is the heart? 24) If you are not going to bite, don’t show your teeth. 25) If you can’t bite, don’t show your teeth. 26) If fortune turns against you, even jelly breaks your tooth. 27) The teeth often bite the tongue but the two stay together all the time. 28) A women would rather swallow her teeth rather than her tongue. 29) Teeth placed before tongue would give sound advice. 30) Toothache dose not stop even if you think that someone has cancer.